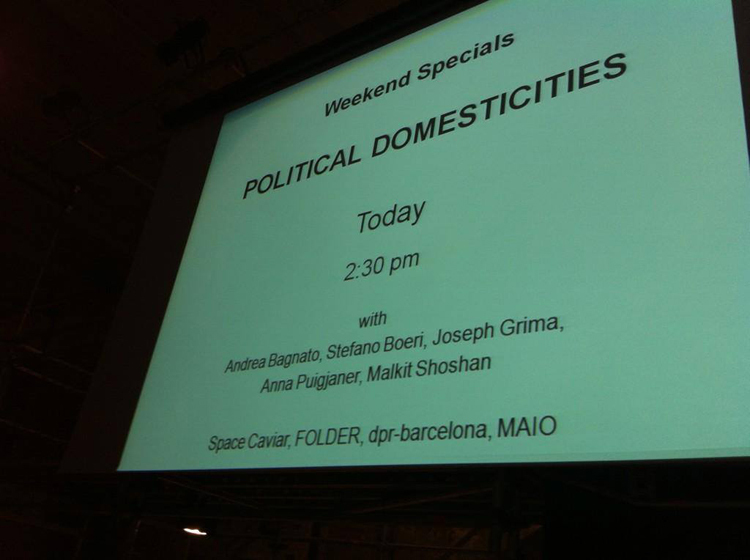 Weekend Special at Venice Biennale of Architecture. 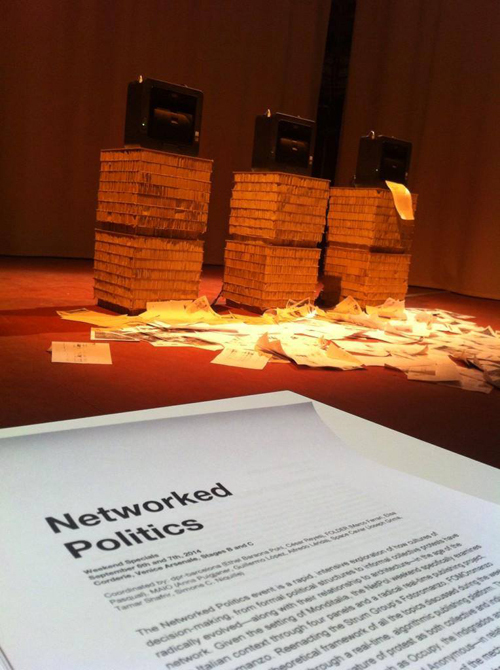 Networked Politics is a rapid, intensive exploration of how cultures of decision-making, from formal political structures to informal collective protests have radically evolved—along with their relationship to architecture—in the age of the network. Given the setting of Monditalia, the Networked Politics weekend specifically examines the Italian context through four panels and a radical real-time publishing project, FOMOromanzo. Reenacting the Strum Group’s Fotoromanzo, FOMOromanzo registers the theoretical framework of all the topics discussed during the weekend and prints on-site through a real-time, algorithmic publishing platform. 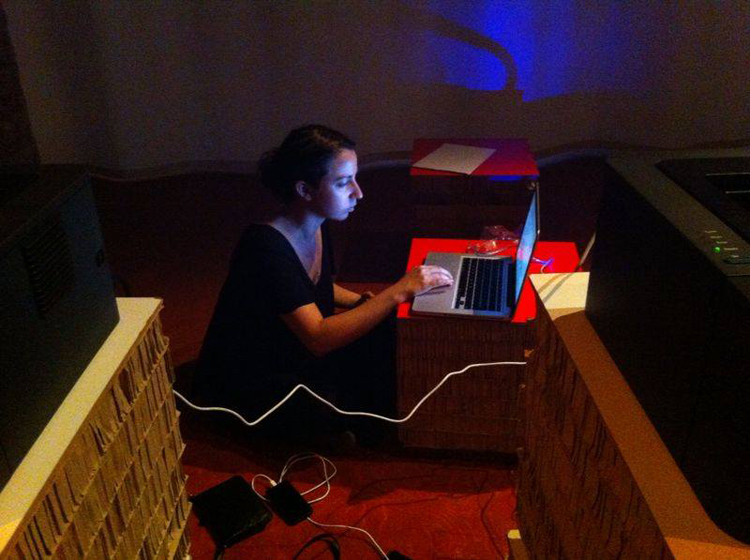 The program confronts the changing nature of protest as both collective and individual activity—from movements such as Occupy, the Indignados and the Arab Spring to the digital activism of Wikileaks and Anonymous—in relationship to the physical space of the city. From the point of view of the mechanisms and apparatuses of control, the rise of new technological devices has diminished the importance of the physical limits that architecture could offer, and has consequently expanded the architectural conception of public space. Though this paradigmatic shift has blurred the lines that once defined architectural production, it has also enabled the creation of critical channels running parallel to mainstream power. 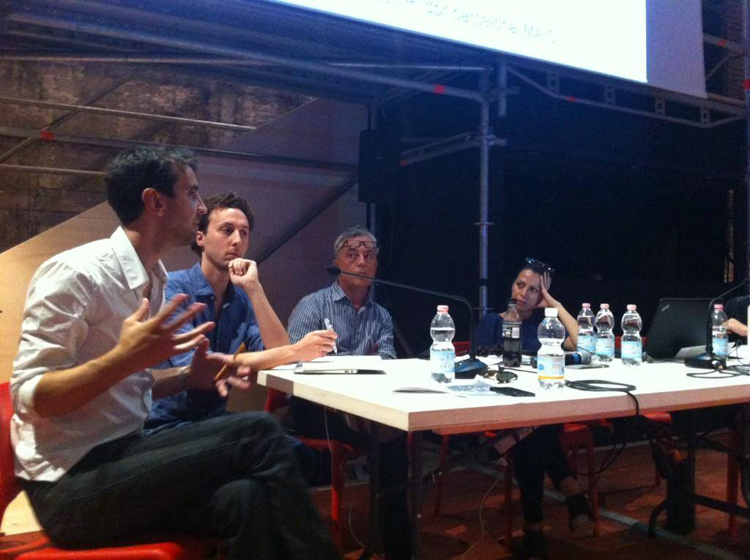 Participants: Andrea Bagnato, Malkit Shoshan, Parasite 2.0, Pablo Calderon Salazar, Stefano Boeri, Silvio Lorusso. 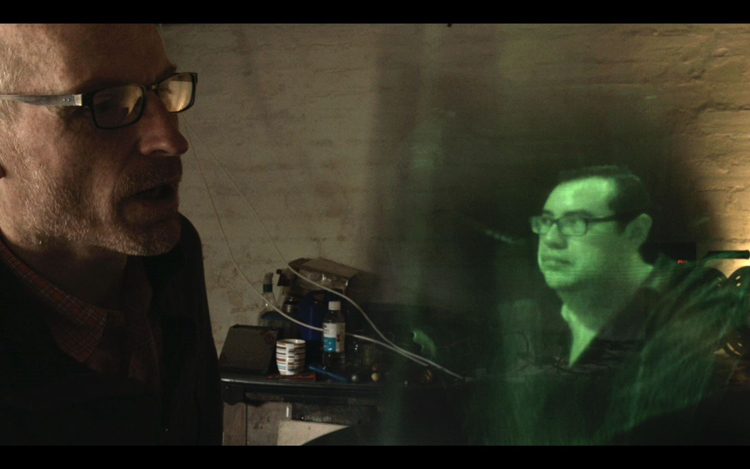 *In this event the algorithmic publishing device will be couples with live connection to the holographic video art work help me obi by the Scotland-based artists Helson & Jackets. Algorithmic interaction. Helson & Jackets. Joseph Grima, Andrea Bagnato, Stefano Boeri, and Malkit Shoshan.